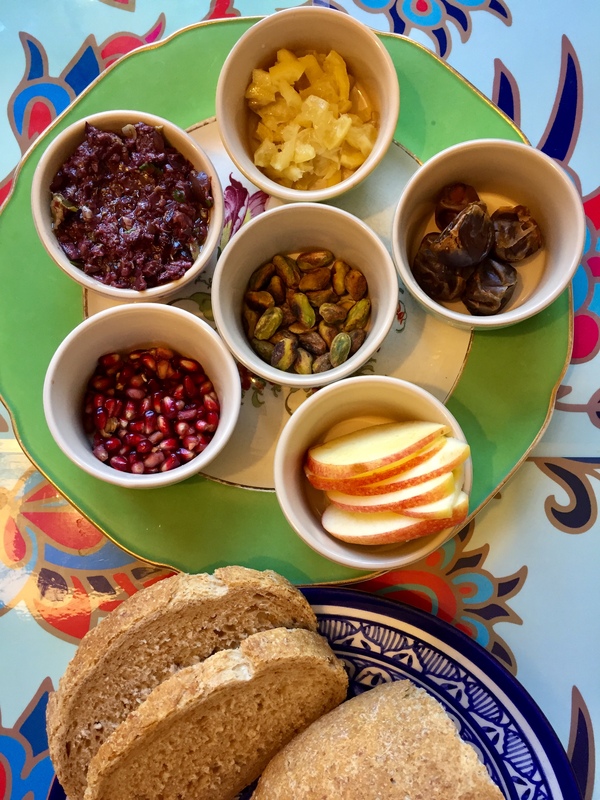 Tu B’shevat–the new year celebration of trees and also known as the Jewish Earth Day–means eating lots of delicious fruits with edible interiors, edible exteriors, and edible everything at holiday seders. 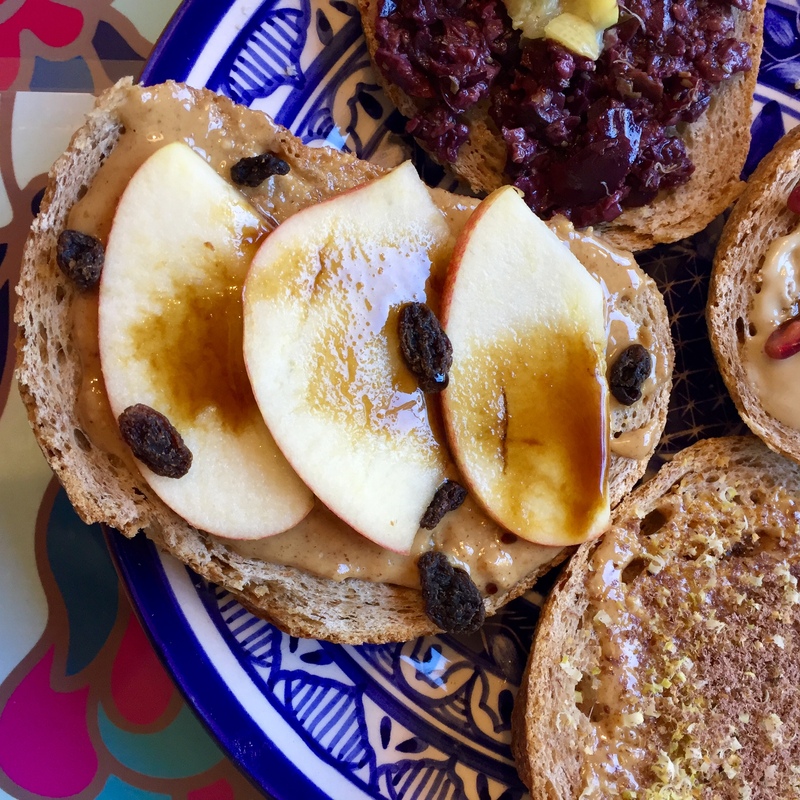 For the holiday this year (which starts on Sunday evening), I created a DIY “toast toppings” to enjoy during that meal that includes most of the seven species of ancient Israel (wheat, barley, grapes, olives, figs, dates and pomegranates), along with other significant fruits-including carob–and a nut butter. 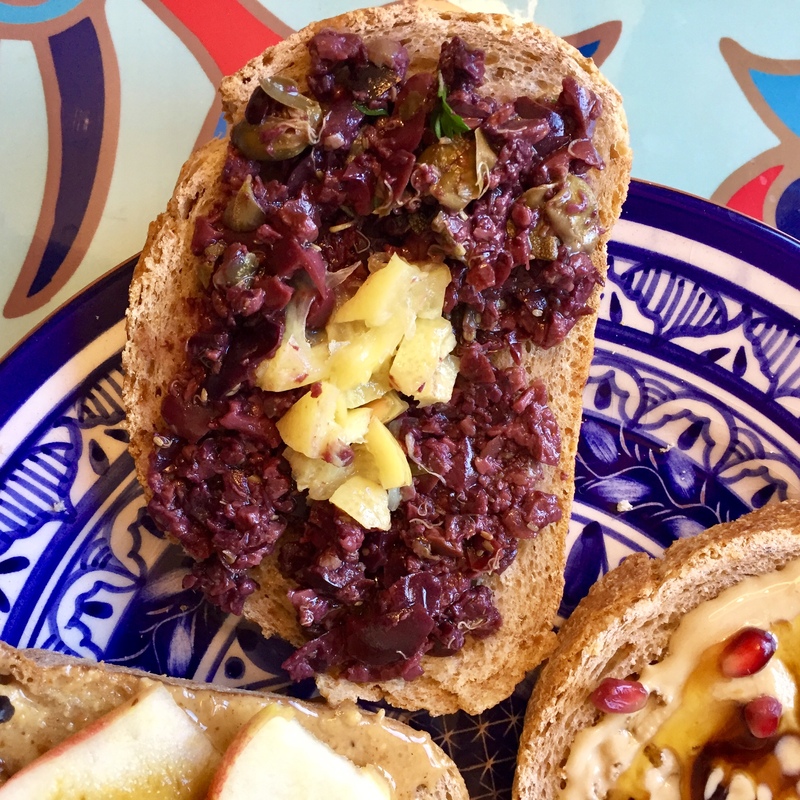 Though carob seems like an unusual thing to eat on Tu B’shevat, this article explains how and why carob-described as inedible in the Torah– became a common Ashkenazic food eaten on Tu B’Shevat. 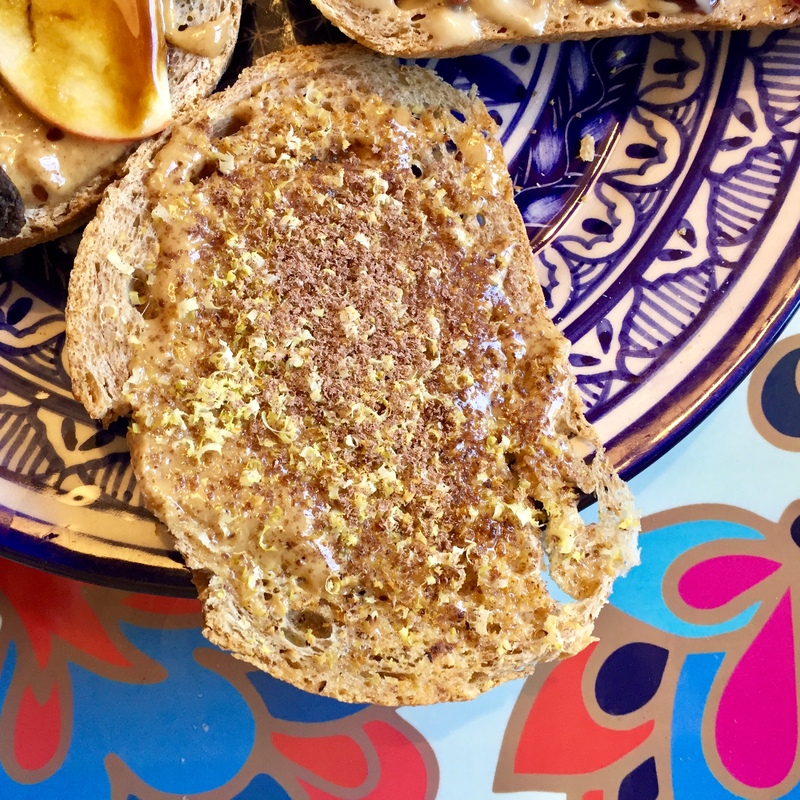 I made four toasts but the combinations are endless and many more nuts and fruits in all their variations could be included–chopped, grated, sliced, smeared and drizzled atop the bread. Also, you don’t need to toast the bread-just choose a delicious fresh one. 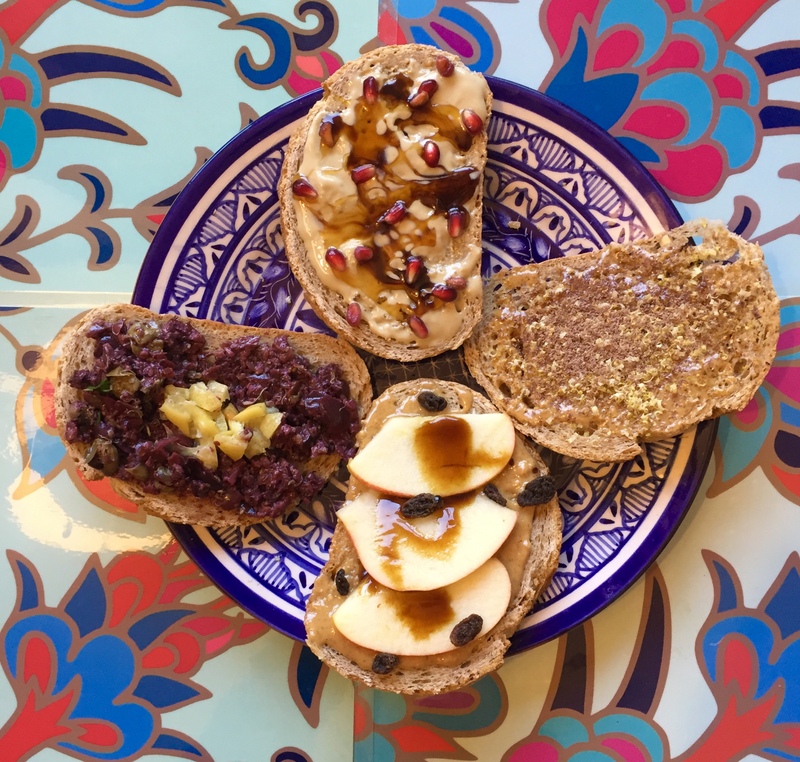 For my other Tu B’shevat recipes, please click here. 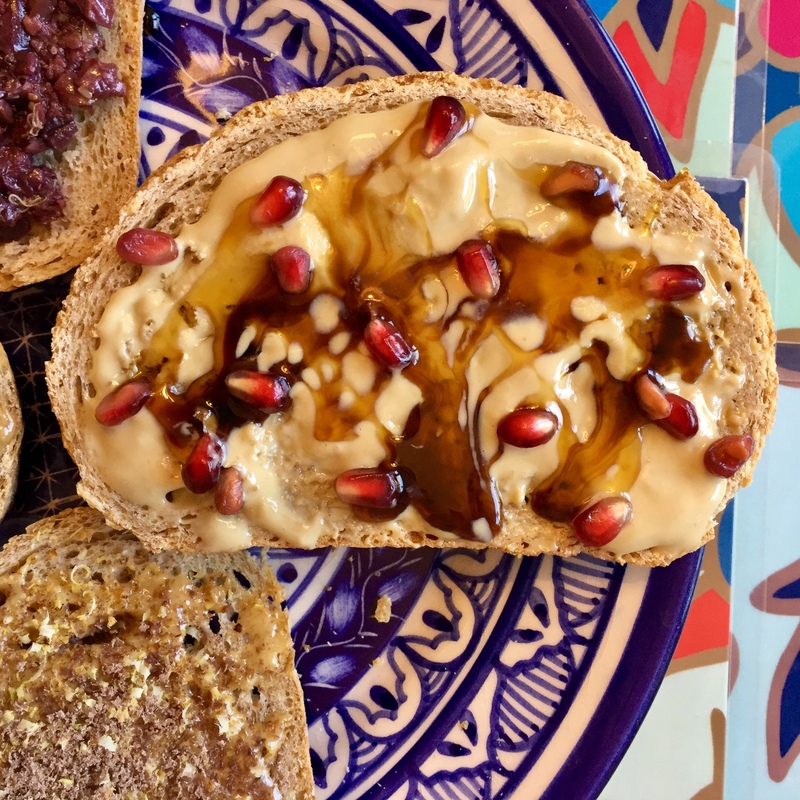 This entry was posted in Fruit, grain, Holiday, Shevat, Tu B'shevat and tagged cooking, food, jewish earth day, plant-based, recipes, toasts, Tu B'shevat, vegan by Sarah Newman. Bookmark the permalink. Kudos sarah for your continued great efforts. Beautiful. You’re too much! PS Fig jam is fantastic. Thanks so much! Yes, agreed that fig jam is so delicious and would be excellent to include.